A scientist predicts climate change could have far-reaching effects on the growth of certain berries on Kodiak Island. 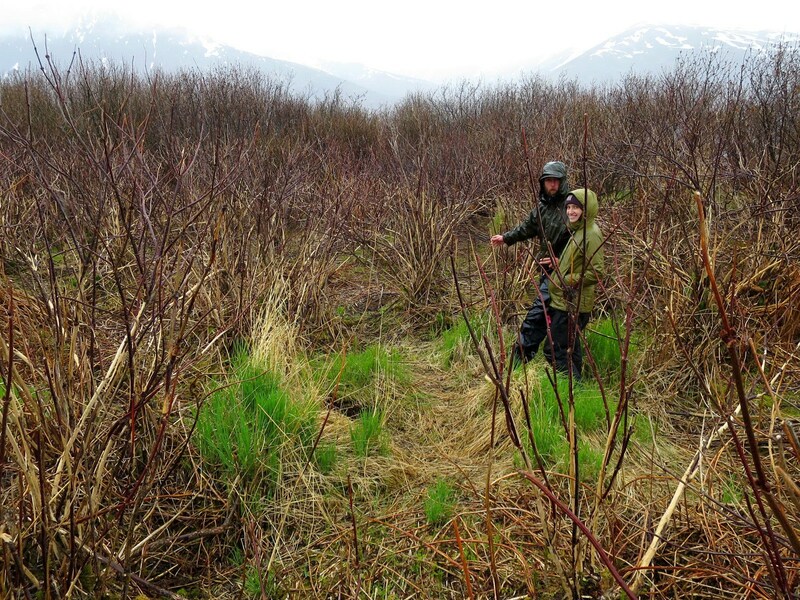 Bill Pyle, supervisory wildlife biologist with Kodiak National Wildlife Refuge, just wrapped up a two-year pilot study on the island. The study helps cement the monitoring methods they’ll use to study berry growth in the future. In this case, that includes using time-lapse cameras. In the short term, berries may have success one year and be less fruitful the next, he explained. He also talked about climate change’s unintended consequences: for instance, how warmer winters could affect the deer population, and in turn, their consumption of certain berries. 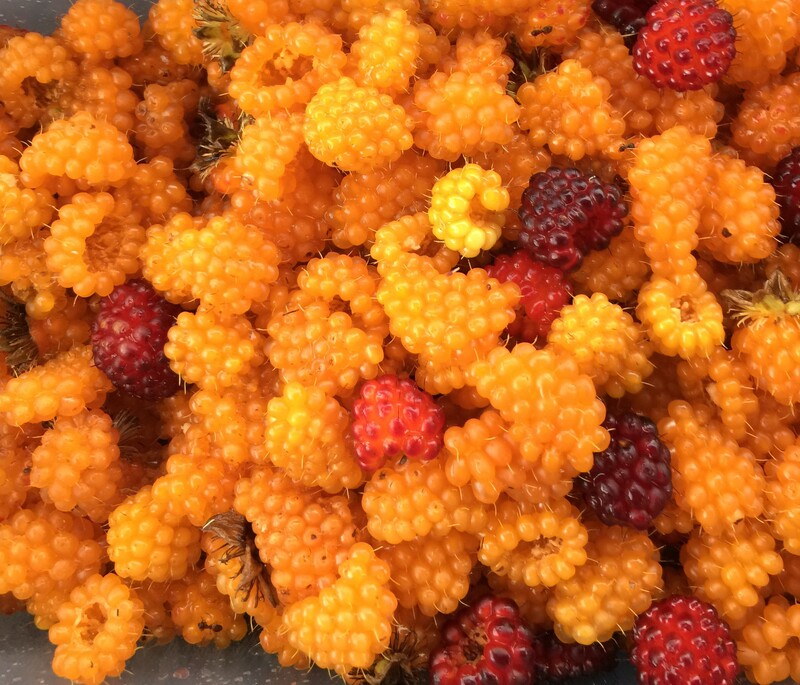 Salmonberries may be limited or nonexistent this year. Winter conditions play a part, Pyle said. This year was unusually dry, and there was little snow pack to insulate the plants. The temperature from November through March for the last two years was 6 degrees above normal. This year, Kodiak was 1.5 degrees below normal. “We really don’t know when the problem started and whether it was a long-term situation this winter, but the bottom line is that it appears that salmonberry and blueberry were affected by the amount of cold and the depth of cold that we had that killed the winter buds and killed the above-ground stems of those plants,” Pyle said. Elderberries fared better. Cold temperatures didn’t hack away at them, Pyle said. It was the Sitka black-tailed deer. This year saw a deer die-off later in winter, January through March, Pyle said. He said while the spruce forests offer some protection for the introduced species, Kodiak’s more exposed terrain could have contributed to the deaths. And he says throughout that time, the deer were surviving off elderberries. Pyle said the deer could kill off the entire plant species if they continue to munch on the berries year after year. He said normally every three to eight years a harsh Kodiak winter would sweep through the deer population and keep it at bay. Without that, they’re free to continue eating the elderberries and other species that bears also survive on, such as blueberries. He says because this winter was so dry and lacked significant snow pack, deer had easier access to the areas where those berries grow. In the short term, it looks like the shortage of berries over the summer may not bode well for brown bears. A mixture of food sources like berries and meat help maintain the bears’ nutritional balance, Pyle said. Throwing off that balance means that more bears may look to human activity for a food source. Bears that develop a reliance on scavenging human trash have a tendency to return to town again and again.